The easiest way to fundraise in Alberta - Guaranteed. We’ve already done the hard part for you. All you have to do is pick what you want to sell and smile. 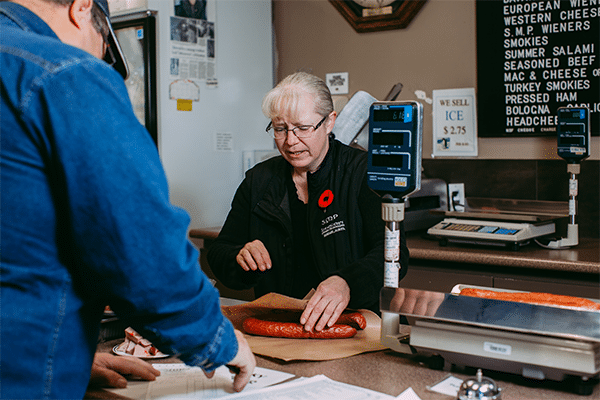 Choose from the notoriously coveted Mundare Sausage, sausage patties, wieners, beef jerky, perogies, cabbage rolls and many other Ukrainian favourites. Create a campaign online within minutes and get started today! And yes, we deliver. We’ve helped raise more than $1,000,000 in over 100 different campaigns. When you’re a full-time parent, you already have a hundred things running through your mind. The last thing you want to do is figure out an entire fundraising campaign by yourself - or worse, end up having to go door-to-door at the last minute, asking for recycled bottles to save your kid’s soccer team. Skip the stress. Set up a successful campaign in less than five minutes and run it like a pro with material from our Ultimate Fundraising Guide. We guarantee you'll be back next year. – and no, it wasn’t by selling cooking dough. First, download the Ultimate Fundraising Guide for inside tips & tricks. Then, Create An Account and complete the "Organization Profile." Set your own product pricing (and profit margins). Download customized campaign order forms. Run the most profitable fundraiser ever. 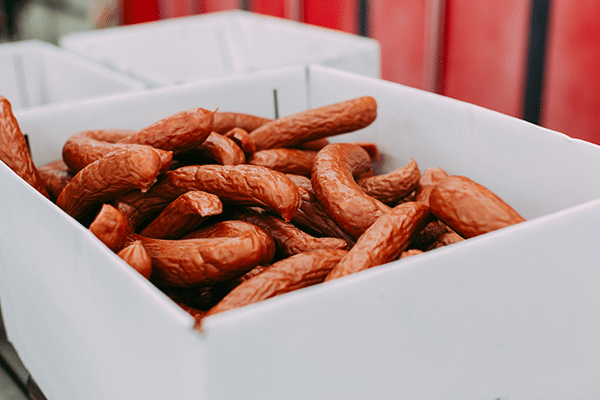 Please note that to qualify for wholesale prices, we require a minimum of 100 rings of sausage purchased for all fundraisers. 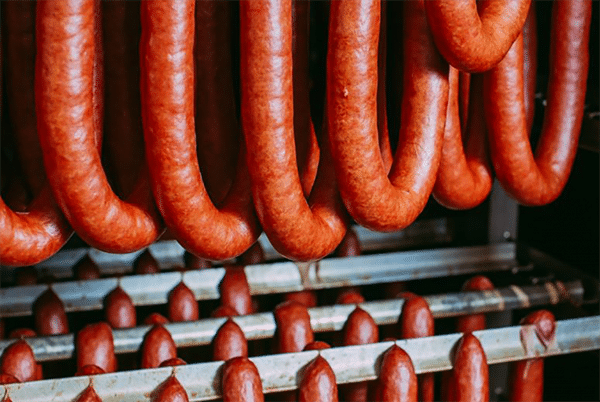 A minimum of 100 rings of sausage must be purchased to qualify for wholesale prices. All orders must be placed through the Mundare office. Christmas orders must be placed before November 30 (orders after this date cannot be guaranteed for delivery before Christmas). Easter orders must be placed 21 days before Good Friday. Payment must be received before the driver can unload your order (please note there is $20 charge for orders under $500). Although we do our best to accommodate specific delivery requests, guarantees cannot be made due to sheer volume of deliveries, weather, and traffic delays. Please note that some fundraising deliveries may be made to additional communities in the surrounding area. This depends on the size of the fundraiser and if the driver is close to the area on the planned delivery date. Your Price: $6.70 / lb. Wholesale Price: $6.70 / lb. Suggested Fundraising Price: $8.70 / lb. Stawnichy’s Ukrainian Style; approx. one pound ring, vacuum packed. Price per pound. Pork, Water, Wheat flour, Salt, Mono-sodium glutamate, Spices, Corn starch, Sugar, Citric acid, Glucose, Sodium ascorbate, Ascorbic acid, Paprika extract, Sodium bicarbonate, Sodium erythorbate, Smoked flavourings, Crushed garlic, Sodium nitrate, Sodium nitrite, Smoke. Questions? 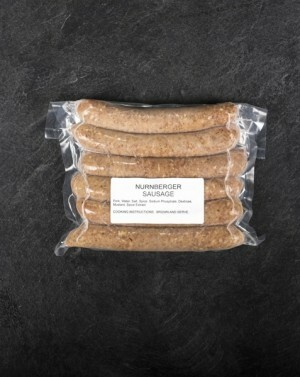 Call us at (780) 428-8333 or email us at order@mundaresausage.com. Stawnichy’s Ukrainian Style, Gluten Free; approx. one pound ring, vacuum packed. Price per pound. Pork, Water, Corn flour, Salt, Mono-sodium glutamate, Spices, Corn starch, Sugar, Citric acid, Glucose, Sodium ascorbate, Ascorbic acid, Paprika extract, Sodium bicarbonate, Sodium erythorbate, Smoked flavourings, Crushed garlic, Sodium nitrate, Sodium nitrite, Smoke. Your Price: $16.00 / lb. Wholesale Price: $16.00 / lb. Suggested Fundraising Price: $20.80 / lb. Pork, Water, Sugar, Spice, Salt, Hydrolyzed soy and corn protein, Yeast extract, Monosodium glutamate, Dehydrated garlic, Sodium erythorbate, Dehydrated onion, Sodium nitrite, Smoke Flavour (maltodextrin), Smoke. Contains: Soy. Your Price: $6.95 / lb. Wholesale Price: $6.95 / lb. Suggested Fundraising Price: $9.00 / lb. Pork, Spice, Salt, Dehydrated garlic, Sodium phosphate, Dehydrated onion, Smoke flavour, Dehydrated bell pepper, Sodium erythorbate, Sodium nitrite, Milk. Your Price: $4.95 / lb. Wholesale Price: $4.95 / lb. Suggested Fundraising Price: $6.40 / lb. Pork, Salt, Spice, Sugar, Lime juice powder, Dehydrated bell peppers, Dehydrated garlic, Dehydrated onion, Lime oil, Sunflower oil. Cooking instructions: Product is raw, fully cook and serve. Pork, Toasted wheat crumbs, Pea fibre, Salt, Dextrose, Spice, Dehydrated Garlic, Dehydrated onion, Rosemary extract, Orange extract, Paprika extract. 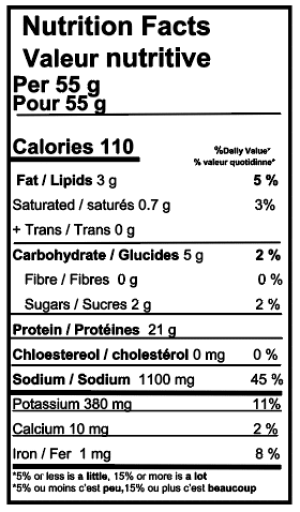 Pork, Water, Salt, Spice, Sodium Phosphate, Dextrose, Mustard, Spice Extract. Pork, Spice, Salt, Sugar, Paprika Extract, Dehydrated garlic, Rosemary extract (antioxidant), Spice extract. Your Price: $6.55 / lb. Wholesale Price: $6.55 / lb. Suggested Fundraising Price: $8.50 / lb. Six per package; various weights sold per package. Vacuum packed. Price per pound. 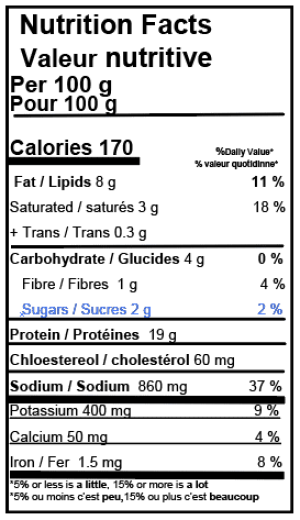 Pork, Modified milk ingredients, Cheese product (modified milk ingredients, water, cheese), Salt, Spice, Cheese Flavour Powder, Dextrose, Dehydrated bell pepper, Wine flavour (maltodextrin). Contains Milk. Pork, Water, Salt, Spice, Sodium phosphate, Detrose. Approx. one pound package. Price per pound. 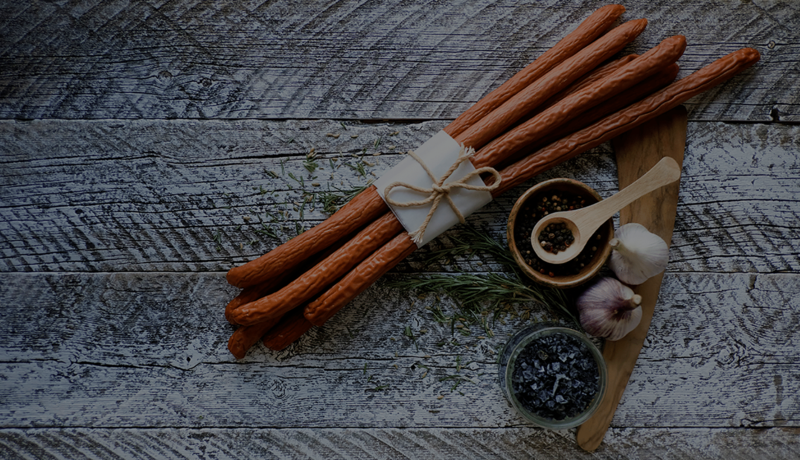 Pork, Water, Wheat flour, Salt, Mono-sodium glutamate, Spices, Corn starch, Sugar, Citric acid, Glucose, Sodium ascorbate, Ascorbic acid, Paprika extract, Sodium bicarbonate, Sodium erythorbate, Smoked flavourings, Crushed garlic, Cayenne pepper, Sodium nitrate, Smoke. Your Price: $4.50 / lb. Wholesale Price: $4.50 / lb. Suggested Fundraising Price: $5.90 / lb. Pork, Beef, Water, Cure (Salt, Sodium bicarbonate, Sodium erythorbate, Sodium nitrite, Glycerine), Spice mix (Contains: Mustard), Dextrose, Mono-sodium glutamate, Hydrolyzed plant protein (Soy, Wheat), Smoke. Your Price: $3.25 / lb. Wholesale Price: $3.25 / lb. Suggested Fundraising Price: $4.20 / lb. Various weights sold per package. Vacuum packed. Price per pound. Pork, Beef, Water, Cure (Salt, Sodium bicarbonate, Sodium erythorbate, Sodium nitrite, Glycerine), Spice mix (Contains: Mustard), Dextrose, Mono-sodium glutamate, Hydrolyzed plant protein (Soy, Wheat), Sodium ascorbate, Smoke. Your Price: $4.35 / lb. Wholesale Price: $4.35 / lb. Suggested Fundraising Price: $5.70 / lb. 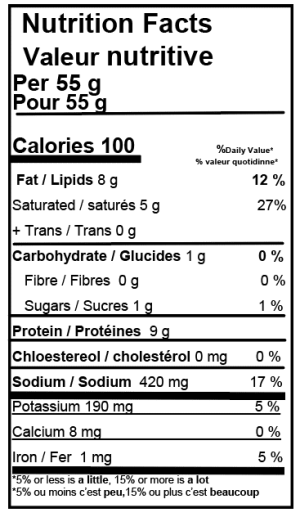 Pork, Beef, Water, Cheddar cheese (Contains: Milk), Cure (Salt, Sodium bicarbonate, Sodium erythorbate, Sodium nitrite, Glycerine), Spice mix (Contains: Mustard), Dextrose, Mono-sodium glutamate, Sodium ascorbate, Hydrolyzed plant protein (Soy, Wheat), Smoke. Pork, Water, Flour (Wheat), Salt, Mono-sodium glutamate, Spices, Starch, Sugar, Citric Acid, Glucose, Sodium ascorbate, Ascorbic Acid, Paprika Extract, Sodium bicarbonate, Sodium erythorbate, Smoked Flavourings, Crushed Garlic, Sodium nitrate, Sodium nitrite, Smoke. Your Price: $4.40 / lb. Wholesale Price: $4.40 / lb. Pork, Beef, Water, Cure (Salt, Sodium bicarbonate, Sodium erythorbate, Sodium nitrite, Glycerine), Spice mix, Dextrose, Mono-sodium glutamate, Sodium ascorbate, Hydrolyzed plant protein (Soy, Wheat), Smoke. Your Price: $4.70 / lb. Wholesale Price: $4.70 / lb. Suggested Fundraising Price: $6.10 / lb. Pork, Beef, Water, Cheddar cheese (Contains: Milk), Cure (Salt, Sodium bicarbonate, Sodium erythorbate, Sodium nitrite, Glycerine), Spice mix, Dextrose, Mono-sodium glutamate, Sodium ascorbate, Hydrolyzed plant protein (Soy, Wheat), Smoke. Your Price: $5.50 / lb. Wholesale Price: $5.50 / lb. Suggested Fundraising Price: $7.20 / lb. Turkey, Water, Cure (Salt, Sodium bicarbonate, Sodium erythorbate, Sodium nitrite, Glycerine), Spice mix, Dextrose, Mono-sodium glutamate, Sodium ascorbate, Hydrolyzed plant protein (Soy, Wheat), Smoke. Your Price: $17.70 / lb. Wholesale Price: $17.70 / lb. Suggested Fundraising Price: $23.00 / lb. Beef, Water, Salt, Sugar, Spices, Hydrolyzed plant protein (Soy, Wheat), Onion Powder, Garlic Powder, Sodium Erythorbate, Sodium Nitrite, Smoke Flavour, Smoke. Beef, Water, Salt, Dextrose, Sugar, Hydrolyzed plant protein (Soy, Wheat), Spices (Contains Mustard), Dehyrdated garlic, Onion Powder, Sodium Erythorbate, Sodium Nitrite, Caramel Colour (Sulphites), Sunflower Oil (MFG AID), Calcium silicate, Smoke. 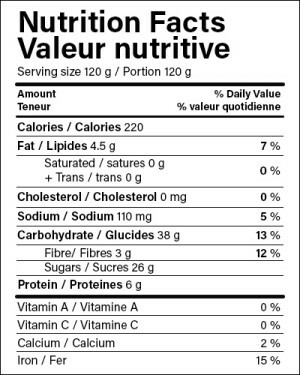 Beef, Water, Salt, Fructose, Sugar, Brown Sugar, Spices, Spice Extracts, Mono-sodium glutamate, Hydrolyzed plant protein (Soy, Wheat), Sodium Erythorbate, Silicon Dioxide (MFG AID), Vegetable Oil (MFG AID), Smoke. Beef, Water, Salt, Sugar, Soy Sauce Powder (Soy, Wheat), Spices, Spice Extracts, Hydrolyzed plant protein (Soy, Wheat), Caramel Colour (Sulphites), Sodium Erythorbate, Sodium Nitrite, Sunflower Oil (MFG AID), Silicon Dioxide (MFG AID), Smoke. Beef, Water, Salt, Dextrose, Sugar, Hydrolyzed plant protein (Soy, Wheat), Spices (Contains Mustard), Dehydrated garlic, Onion Powder, Sodium Erythorbate, Sodium Nitrite, Caramel colour, Sunflower Oil (MFG AID), Calcium silicate, Smoke. Beef, Dextrose, Sugar, Spices (Contains Mustard), Hydrolyzed plant protein (Soy, Wheat), Salt, Sodium Erythorbate, Sodium Nitrite, Smoke. 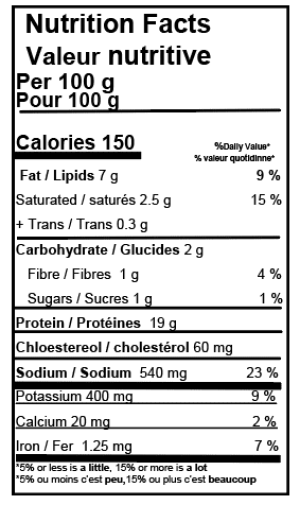 Beef, Dextrose, Sugar, Spices, Hydrolyzed plant protein (Soy, Wheat), Salt, Sodium Erythorbate, Sodium Nitrite, Smoke. Beef, Dextrose, Sugar, Spices, Hydrolyzed plant protein (Soy, Wheat), Salt, Sodium Erythorbate, Sodium Nitrite, Smoke (Contains Sulfites). Your Price: $9.35 / lb. Wholesale Price: $9.35 / lb. Suggested Fundraising Price: $12.20 / lb. 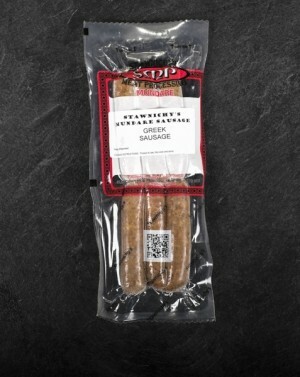 Pork, Water, Curing Salt, Sugar, Sodium Nitrate, Propylene Glycol, Caramel Colour, Natural Hickory Smoke Flavour, Spice Extracts, Hydrolyzed plant protein (Soy, Wheat), Dextrose. Your Price: $6.90 / lb. Wholesale Price: $6.90 / lb. Your Price: $7.15 / lb. Wholesale Price: $7.15 / lb. Suggested Fundraising Price: $9.30 / lb. Pork, Water, Paprika, Curing Salt, Sugar, Cayenne, Sodium Nitrate, Propylene Glycol, Caramel Colour, Natural Hickory Smoke Flavour, Spice Extracts, Hydrolyzed plant protein (Soy, Wheat), Dextrose. May Contain: Mustard, Sulphites, Milk, Eggs. Two per package. Fully cooked. Price by the pound. Pork, Water, Paprika, Curing Salt, Sugar, Sodium Nitrate, Propylene Glycol, Caramel Colour, Natural Hickory Smoke Flavour, Spice Extractives, Dextrose, Soy. 3/4 lb. package. Price per package. Pork ribs, Pork meat, Soya sauce, (Water, Salt, Hydrolyzed plant protein, Glucose solids, Black strap molasses, Caramel colour, Modified starch, Natural flavour enhancer, Sodium benzoate and Potassium sorbate), Corn starch, Garlic, Spice mix. Your Price: $3.80 / lb. Wholesale Price: $3.80 / lb. Suggested Fundraising Price: $4.90 / lb. Pork, Water, Corn flour, Salt, Heat processed wheat flour, Skim milk powder, Dextrose and Spice, Lactose, Mono-sodium glutamate. Your Price: $19.80 / lb. Wholesale Price: $19.80 / lb. Suggested Fundraising Price: $25.70 / lb. Cooked. Comes in five pound box. Pork, Water, Corn flour, Salt, Heat processed wheat flour, Skim milk powder, Dextrose, Spice, Lactose, Mono-sodium glutamate. Pork, Water, Salt, Ascorbic acid, Sodium erythorbate, Dextrose, Sugar, Coriander, Chilies, Marjoram, Lactose, Lactose, Mono-sodium glutamate. One dozen per package. Price per package. Flour, Water, Blueberries, Vegetable Oil, Salt. Two dozen per package. Price per package. Flour, Potato, Water, Dry Cottage Cheese, Vegetable Oil, Onion, Margarine, Salt, Sodium Bicarbonate, Pepper. Flour, Potato, Water, Vegetable Oil, Grated Cheddar Cheese, Onion, Margarine, Salt, Sodium Bicarbonate, Pepper. Flour, Potato, Water, Vegetable Oil, Onion, Margarine, Salt, Sodium Bicarbonate, Pepper. Flour, Potato, Water, Sauerkraut, Vegetable Oil, Grated Cheddar Cheese, Onion, Margarine, Salt, Sodium Bicarbonate, Pepper. Rice, Cabbage, Onion, Oil, Shortening, Salt, Pepper, Soy, Milk. Your Price: $6.25 / lb. Wholesale Price: $6.25 / lb. Suggested Fundraising Price: $8.10 / lb. Cottage Cheese, Milk, Flour, Eggs, Salt, Dill. 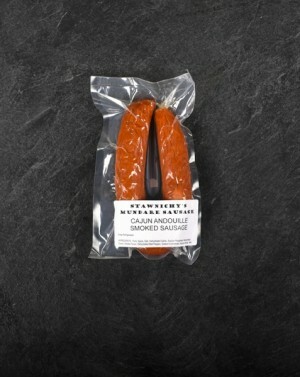 © 2019 Stawnichy's Ukrainian Sausage. All rights reserved.